From an initial field of 2,500 applicants, Pensacola State College won the prestigious, national 2017 Bellwether Award in the Instructional Programs and Services category at the Community College Futures Assembly in Orlando Jan. 31. 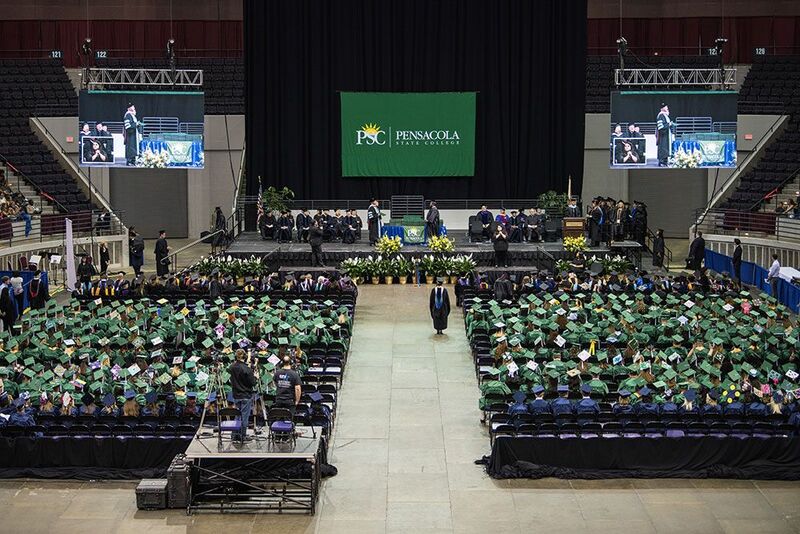 Since the Bellwether awards were established in 1995, Pensacola State College is only the fourth college in Florida to be selected as a winner in the Instructional Programs and Services category and the sixth winner from Florida in all categories. The last time a Florida college won this award was in 2006. The Bellwether Award has been compared to football’s Heisman Award because it is competitively judged and is given by peers in community colleges across the country, with no cash award. 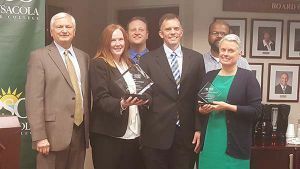 Pensacola State’s virtual tutoring program won the Bellwether for its data-backed success in helping students to complete math and science courses with higher grades and lower withdrawal rates. The college’s virtual tutoring program provides more accessible, convenient assistance for students by allowing them to see and talk to well-trained tutors when they can’t come to campus due to illness, family or work commitments, or distance. Virtual tutoring is available throughout the day and late into the evening on weekdays and on weekends. Accepting the award at the CCFA ceremony were PSC President Ed Meadows, along with Michael Johnston who was instrumental in designing and implementing the project and Kirk Bradley who assisted in implementing and expanding the program. Johnston summed up the strength of the virtual tutoring program with the example of “Linda,” a 60-year-old student who lives in Century, too far from campus to get personal tutoring. Through the virtual tutoring program, she completed two math classes that she previously had been unable to complete.